WhatsApp GB or GBWhatsApp is the unofficial version of WhatsApp Messenger, WhatsApp GB comes with many extensive features which are not available in Official WhatsApp messenger. Well, we will talk more about its features later. For now, let me tell you In this article, you will get the latest version of WhatsApp GB apk file. If you are a new user of GBWhatsapp then you need to know that this version is a modified version of original WhatsApp and WhatsApp don’t support WhatsAppGB. WhatsApp GB uses the original WhatsApp server for sending and receiving the messages. And that is why GB Whatsapp is totally safe and you will get End to End encryption with the GB WhatsApp too. GB WhatsApp adds many cool features to the existing WhatsApp version and that is why it is the favorite WhatsApp application for all its users. There is also another version of WhatsApp which is WhatsApp plus. Whatsapp plus is same as WhatsApp GB and it was blocked by the WhatsApp from almost all the sites. That is why the new version of WhatsApp plus has released and this time developers named it WhatsApp GB. We can say WhatsApp GB is the new version of WhatsApp plus, so if you are a user searching for WhatsApp plus, then let me tell you this is the WhatsApp plus for you with the new name. Sometimes ago when two WhatsApp accounts in one android phone were not common, many users were using the WhatsApp GB to run two WhatsApp accounts on one android. No, Whatsapp GB does not allow you to run two WhatsApp accounts but you could use it for another account and official WhatsApp for another account. thus you have two WhatsApp accounts on one phone. But now the time has changed and Android Nougat has launched by Google and now users can easily run two WhatsApp account with the inbuilt feature of the Android 7. Now if you want to run two WhatsApp account then you don’t need WhatsApp GB because it can be done via many applications and also android 7 has this function as an inbuilt feature. But what if you want to run three WhatsApp accounts on one Android phone? Yeah! This is possible now! Thanks to Google who has launched the two WhatsApp using functionality officially on Android and now you can use GBWhatsApp/WhatsApp plus for running one more account on your android phone. So now you can run three WhatsApp accounts on one android phone. Now you would be thinking how can I use three WhatsApp account if I only have a dual sim smartphone? Well, this is pretty simple you can use another phone for verification only. The one and the only requirement for running three WhatsApp account on one phone is you must have android 7 or above on your phone. Well, I will write a separate article on this so if you still confused about using three WhatsApp accounts in one phone then you can wait for the article. GBWhatsApp has many extensive features which I would like to tell you. So you will have many reasons or at least one to use WhatsAppGB on your android phone. Whatsapp GB or GBWhatsApp is known for the extra features it provides us over the official WhatsApp version. I will tell you all the features of WhatsApp plus/GB in points, so let’s have a look at its features. You can send broadcast message upto 600 people instead of 250 people, which is 350 more than the original WhatsApp version. It has a theme store to install a large number of themes for free for your WhatsApp GB Version. You can send upto 90 images at once using WhatsApp GB, whereas original WhatsApp still allows you to send only 10 images at once. You can copy any status from any user on WhatsApp with one click. Whatsapp GB allows you to change its icon and also its notification type. It allows you to see a preview of photos and videos before downloading them. WhatsApp GB or Whatsapp plus allows you to set a status of upto 250 characters, whereas official WhatsApp allows you to set status upto 139 characters only. You can send a video upto 50 MB using Whatsapp GB, Official version allow you only 16 MB video sharing. There are many more features which you will find while using WhatsApp GB on your android phone. Well, these are the features which every version of WhatsApp GB has, but do you know the latest version of WhatsApp GB has many more interesting features? Yes! there are many more features which are added to WhatsApp GB 6.90 version. 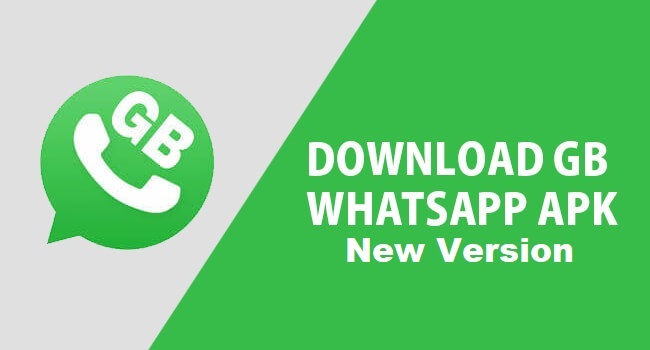 Let’s have a look what is new in WhatsApp GB 6.90 latest version. Following are the new features added to the new version of GBWhatsapp apk. Let’s have a look! With New GBWhatsapp you can delete the sent messages easily with one click, for example, if you have sent a message mistakenly to any friend or in the group then you can delete it before they read. In other words, you can unsent the sent message from WhatsApp GB Plus App. You can disable automatic media download for any particular conversation or group. So if you have many groups which send you tons of unwanted media files then you can disable the media auto download for that particular group, is not it cool? Send images in original high quality without reducing their size. You can edit the images before sending using WhatsApp GB apk new version. You can easily climb upto the first message of a long conversation with one click. Now you can send a video upto 50 MB instead of 30 MB. You will get 13 new app launcher with the new GBWhatsApp app. Schedule message and sending them later on time. Now you can edit the scheduled messages easily. Change the theme of an individual conversation or group. WhatsApp GB New version allows you to send any file type easily. Many bug fixes and performance improved. You can download WhatsApp GB or WhatsApp plus latest version easily on your android phone. Just follow the super simple steps given below to download GBWhatsapp on Android. First of all, Go to settings > Security > and check Unknown sources box. Now download the GBWhatsApp 6.90 from here. Once the download has finished, tap on the app and install it on your Android device. Now open the GBWhatsApp on your phone and follow the onscreen instructions to verify Mobile number. That’s it! Now you have successfully downloaded Whatsapp GB latest version on your Android Device. Enjoy! This is the simplest process of downloading WhatsApp plus or GBWhatsAPP on your Android phone. But if you still facing any issue in downloading then you can comment below and I will resolve it as soon as possible. So above I have provided you the latest version of GBWhatsapp for Android, this is the latest version of Whatsappgb which you can get only on rapidtricks. if you have not downloaded GBWhatsApp yet then download it now from the link given above. And if you like this post then don’t forget to share it on social media and show your love and support to us. If you are facing any issue in downloading or using the application then feel free to tell me in the comment section below.